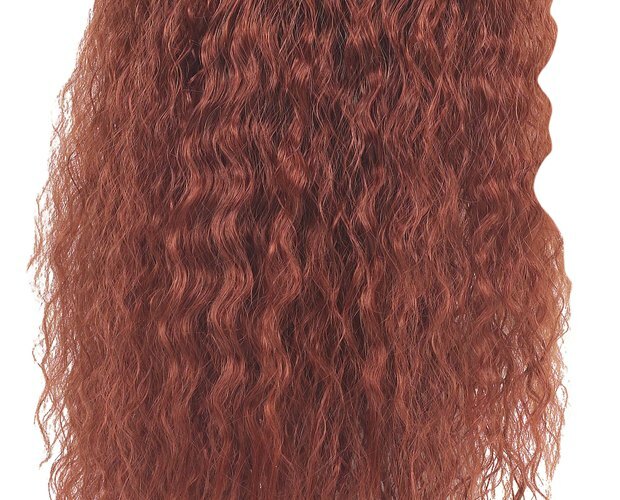 Style your hair with crinkled or crimped waves by braiding it. If you braid your hair and follow the correct procedure, you can avoid direct contact with a crimping iron, which will cause damage over time. You will get smooth, shiny waves without a frizzy or dry look. As long as you use a few inexpensive hair products, your crinkled waves will hold their shape all day. There are also a few simple things you can do throughout the process to make sure you aren't damaging your hair. Wash your hair, as you will need to start out with wet, clean hair for the crinkly waves to hold. Apply conditioner and rinse it out thoroughly. Dab your hair gently with the towel to remove excess water; do not twist or wring you hair, as this will cause breakage and promote frizz. Comb your hair while it is damp with a wide tooth comb to prevent pulling and tearing your hair while it's wet. Dispense a quarter-sized amount of strong-hold hair gel into your hand and smooth it evenly through your hair. Divide your hair horizontally across the middle of your head and pull the top layer up on top of your head. Hold it out of the way with a hair clip. Braid the bottom layer of your hair into a series of braids that are only about 1/2-inch-wide for crinkly waves. Make the braids smaller and tighter for even smaller crinkly waves. Keep in mind that the smaller you make the braids, the more braids you will need to make. Secure the ends of the braids with a small hair elastic. Spray each finished braid with some hairspray to help keep the crinkled waves smooth. When you are finished with the bottom layer, take down the top layer and start braiding it. 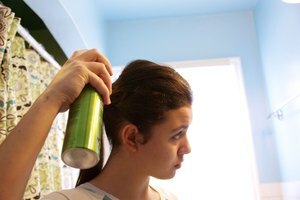 Spray the hair with clean water from a water bottle if it starts to dry before you are finished. Wait for your hair to dry, or dry it with a hair dryer on low heat and hold it at arm's length from your head to prevent frizz. Remove each hair elastic from the braids and gently unravel them once your hair is dry. Shake your hair out; do not brush it, and try to avoid touching it with your fingers, which can cause frizz. Spray on a small amount of hairspray to help the crinkled waves keep their shape. Apply some smoothing serum to your hair before the hair gel to reduce frizz once your hair is dry. Do this if your hair is dry, damaged or prone to frizz.